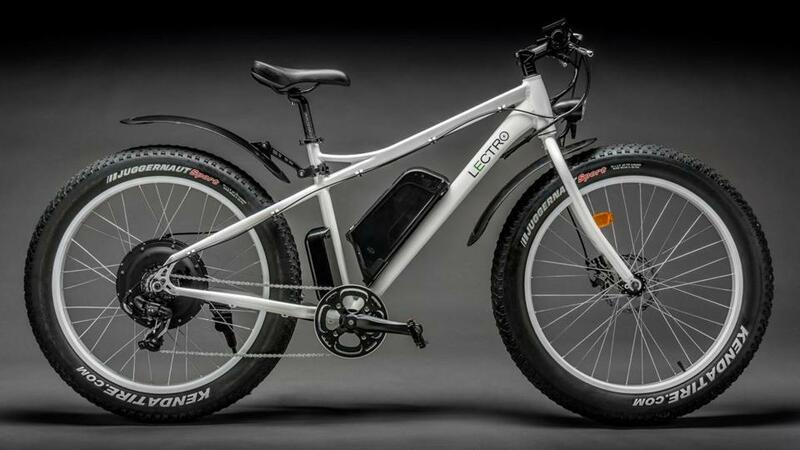 A Kickstarter fund-raising for Lectro bike started this week. Ordinarily, riding a bike up Corey Hill in Brookline is a thigh-searing, lung-wringing workout. But on a recent morning, I hopped onto a sleek, white bike with fat tires, and I was cruising up that infernal incline like The Terminator out for a Sunday ride. Beneath me was the $899 Lectro bike, from Boston entrepreneur Jeff Morin, which debuted on the funding site Kickstarter this week. A motor tucked into the hub of the rear wheel supplemented my own pedaling, and with motor and muscles working together, I could accelerate to a zippy 23 miles per hour on flat terrain, no sweat. Lectro is one of many cool companies that have popped onto my radar screen in recent months. I wanted to share a sample with you, to offer a sense of just how diverse the thinking and activity is among Boston entrepreneurs in 2016. Slightly speedier than Lectro’s bike is the S-512 supersonic business jet from Spike Aerospace . The Boston company wants to build a $100 million plane that will travel at about 1,100 miles per hour, without generating noisy sonic booms on the ground. Chief executive Vik Kachoria is equally quiet about how much the company has raised, though he does say they’ve hired 45 engineers. Also hoping to take flight is Greensight Agronomics , which is building quad-rotor drones that will live and work at golf courses. They’ll automatically lift off three times a week to capture images of the grass, which will let groundskeepers see areas that might need more or less water — or a spot application of pesticide. If drones over the back nine aren’t futuristic enough for you, what if you could modify the genes in a pig embryo so that the pig’s organs, once it grew up, would be transplantable into humans, with little to no backlash from the recipient’s immune system? Ethically more complicated than breeding pigs to get bacon for Sunday brunch? Probably, but Boston-based eGenesis, born at Harvard, is working on it. Three ventures with ties to Northeastern University have food and beverages on the brain. Gianmarco Di Pino and Nikhilesh More were hunting for authentic and affordable food from Italy and India, their respective home countries, which led them to a business idea. MyOnCampus Chef connects students who don’t have kitchens with those who do and want to earn a bit of extra cash. Early meals have cost about $15. Hylux is a flavored water spiked with vitamins and electrolytes. Founder Lamar Letts says it has more potassium than a banana — but about one-third the sugar of a standard sports drink. Cookin (which recently changed its name from Mealtime) is building an app that will supply recipes and grocery shopping lists, aiming to help young consumers make quick, simple, healthy meals, founder Connor Russo says. Recipes use just a single pot or sheet pan, he adds. The MIT approach to food involves robot chefs — of course. Spyce Kitchen debuted on campus earlier this year, making dishes like shrimp andouille jambalaya or chickpea coconut curry on couscous with a fully automated system, after the diner places the order with a smartphone app or touchscreen display. Research at MIT provided the scientific foundation for Astraeus Technologies, which is working to perfect an inexpensive test for lung cancer. But rather than submitting to a CT scan, you’d simply breathe onto a medical device that would detect gases that indicate lung cancer. It’s a screening that could eventually be incorporated into a routine physical — a good thing, given that a quarter of all cancer-related deaths are caused by lung cancer. We’ve all been to fund-raising events where bidding on silent auction items involves writing your name — neatly, please — on a clipboard. A startup called Accelevents wants to let you use your smartphone to place bids or buy raffle tickets. Cofounders Zach Hagopian and Jonathan Kazarian say the system has already been used for more than 150 fund-raisers in their first year of existence, raising more than $1 million. SuperHealos of Waltham produces books, art supplies, costumes, and video games for kids undergoing medical treatments, “to help kids become their own superhero of health,” in the words of chief executive Yuanyuan Yin, and reduce the stress and anxiety of being in the hospital. A former Zipcar marketing executive, Brian Harrington, is a cofounder of a new startup called Nifty that wants to make it much easier to pick up or return a rental car at the airport, without shuttle-busing to a lot far away. The hope is that the company would obtain dedicated curb spots where you could pull in and unload the car, helping rental companies compete more effectively with the convenience of Uber. There’s nothing at all on the website of Sandymount Technologies, a Cambridge startup. But it won a $40,000 grant in February from the Massachusetts Clean Energy Center to develop “a filtration technology that allows beverage makers, such as breweries, to remove water from beverages before shipping without affecting taste,” according to a statement. “Removing the water before shipment and rehydrating later reduces shipping costs and energy used during transport.” Just add water, and happy hour has returned . . .
Another startup that won a grant as part of that bunch, Evaptainers of Somerville, is creating refrigerators that don’t rely on electricity. Instead, they use evaporative cooling, which uses water to pull heat away from the food being stored. The company’s goal is to help farmers in developing countries keep food fresh as it makes its way to market. Kind of amazing, but if you feel your skills at “League of Legends,” “StarCraft,” or “Overwatch” are not up to snuff — those are all video games, by the way — Cambridge’s Gamer Sensei will help you hire a coach to be your digital Angelo Dundee. The startup raised $2.3 million earlier this month. A new fitness sensor from Humon will strap onto your thigh to monitor the lactic acid build-up in your muscles, preventing you from training too hard for that next triathlon. It’ll be priced around $300 and available later this year. I might be a prospective customer — if I were truly a hard-core biker, and not someone who benefits from a battery-assisted boost up a moderate hill.